Eat it there instead of the office. Photo courtesy Jan’s . Whether it’s PCH, a toll road or multiple freeways, heading to Newport can be a bit of a drive. The good news is Newport Beach Restaurant Week lasts through the weekend, so if you missed out, there’s still time. We sorted through the 60+ listings to get you going with our recommendations. Remember to book a reservation whenever possible, and pricing is before tax and gratuity. Don’t fight over the third one, just distract them. Photo courtesy Olea. 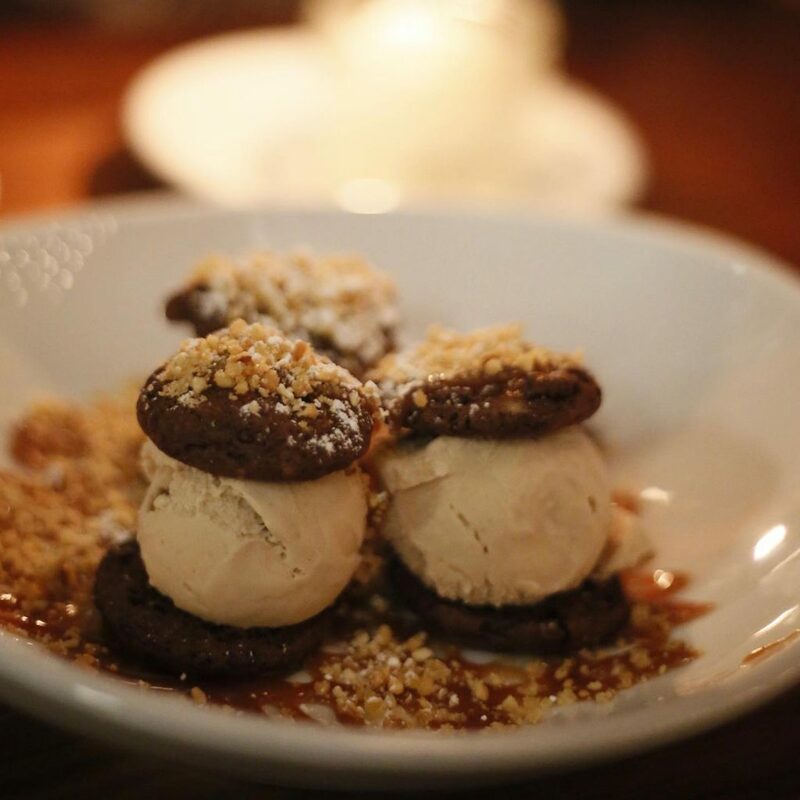 Participating for the first time, Olea brought their A-game to dinnertime. We pretty much approve of all their flavor combinations. However, if we had to narrow it down further, go the following route: Fried Green Tomatoes with Fresh Burrata Alla Panna is a juxtaposition of creamy and crunchy textures, waking up your taste buds. Then go for the gusto and request the Pacific Northwest Filet Mignon; you will thank us for those melted garlic and crème fraiche potatoes. Finish with Dark Chocolate Chunk & Fromage Blanc Cookies. They had us at peanut butter cup gelato. 2001 Westcliff Dr., Ste. 100, (949) 287-6807; www.oleanewportbeach.com. Newps isn’t all about seafood. And Jan’s is easily one of the best local mini-chains around. Technically, they’re Corona del Mar, but we don’t mind. Delicious and good for you, their $15 deal is a steal. Start with 1/2 a sandwich or wrap. Go classic chicken salad or tuna, if you’re not sure. We dig the Krunchy Kale Wrap with turkey, avocado, feta, sunflower seeds, carrots, tahini and other goodies. There’s also a salad course, with a earthy version featuring mushrooms and sprouts. Oh, and you’re not done yet! Choose between two smoothies to finish; the Banana Date sounds like early morning dessert. 3021 E. Coast Hwy., (949) 675-2520; www.janshealthbar.com. No sharing! Photo courtesy Farmhouse. If you’re fortunate enough to score a reservation (It’s perpetually packed here; we’ve tried and ended up at the bar. ), then settle in for some quality eats. Chef Rich Mead’s menu starts you with both a Roast Butternut Squash Tart plus a Seasonal Soup Shooter. This is followed up with a Schaner Farms Winter Citrus and Avocado Salad. Your main course is where it gets interesting. Select between Pink Peppercorn Dusted Yellowfin Tuna or Troy’s Chinese Barbecue Kurobuta Pork and Tehachapi Grain Kimchi “Fried Rice”. 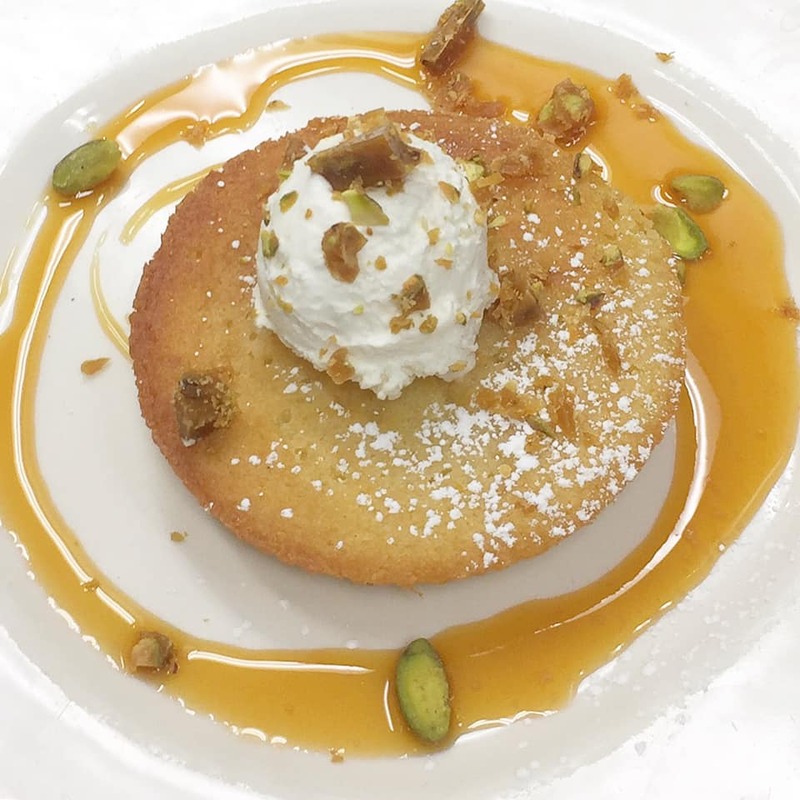 Dessert is a Meyer Lemon Olive Oil Cake. But what really stands out is their wine and cocktail pairing options for each round. For example, the cake course provides an opportunity to order The Scandelous Scandinavian Panamanian Daiquiri. Heck, we’ll go just for one of those! 2301 San Joaquin Hills Rd., (949) 640-1415; www.farmhouserg.com. Traditionally a dinner-only spot, Fleming’s finally took advantage of the surrounding offices and began serving the power lunch crowd. While this is indeed a fancy chain, their pricing for NBRW makes it all worthwhile. Start with either a soup special or chopped salad. For entrees, take your pick between Barbecue Salmon Fillet, a robust veggie and grains bowl, a California Burger or Filet Mignon (with $10 supplement). Classic dessert choices are between New York Cheesecake or Housemade Truffles to-go. Dine in the new patio and close a deal while you lunch. 455 Newport Center Dr. (949) 720-9633; www.flemingssteakhouse.com. Go for the view. Stay for the food. Photo courtesy Andrea Ristorante. 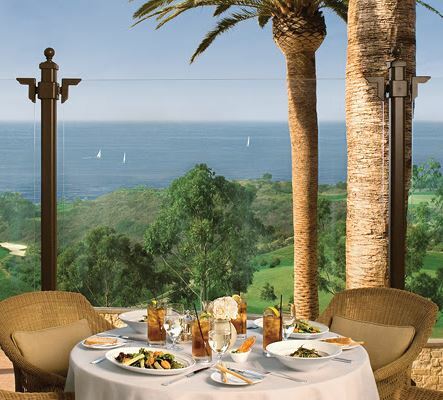 New Executive Chef Chris Simon is a perfect excuse to head up Pelican Hill for a leisurely bite. Complimentary valet and a supremely affordable price point are two more. While there are a trio of starters and mains to mull over, Salt Roasted Beets definitely stands out, as well as a Grilled Banzino. Go with a friend, and you don’t have to decide between Hazelnut Frangelico Tiramisu or Gelato/Sorbet. Down the hill, their sister property is also serving restaurant week specials. 22800 Pelican Road S., (844) 443-0022; andreanb.com. 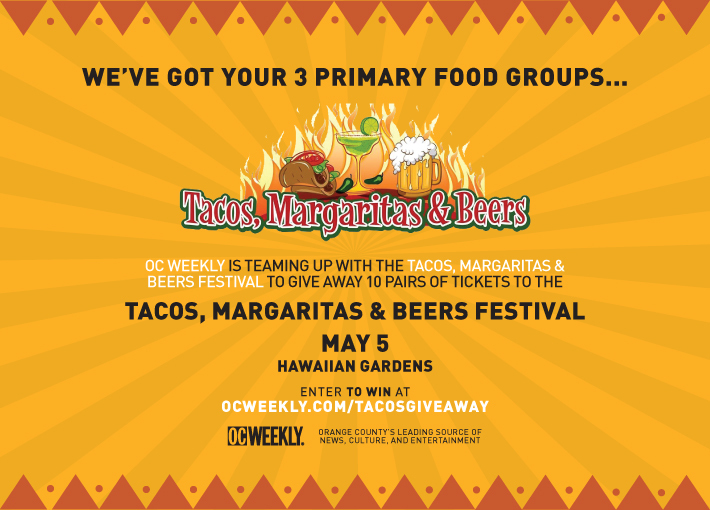 Learn more about Newport Beach Restaurant Week at this link. Jan’s is the best, and has been since 1976. My jewelry shop was next to her in HB in 1977 and I got addicted then to the Soy Turkey with sprouts, cucumber, tomatoe and avocado!!! Stil the bomb to this day, and locations in Costa Mesa, and Laguna Beach too!! 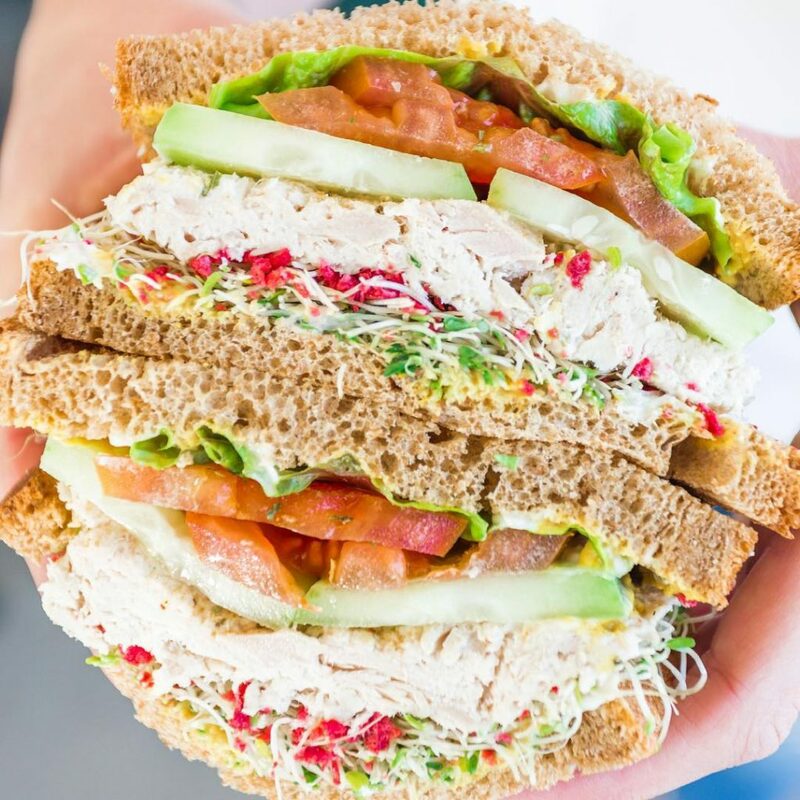 Go and have the best sandwich of your life! !